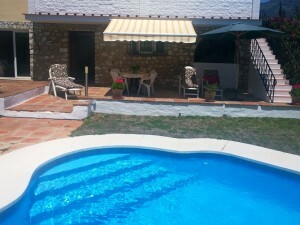 Fantastic detached property for sale in Velez Rubio, Almer?a. There are 3 cortijos with a total of 26 rooms that have the potential to create a small hotel or a large family home. It has an area of 330 sqm.the ground floor, and a total construction of 700 sqm. on 3 stories. It is partially refurbished, more than 200 sqm. of roof has been replaced with traditional materials and a little work could turn this property into a small hotel or cottage. This Spanish Villa is located on a plot of 1 hectare of land that gives you the opportunity to build up to 8 houses more than 150 sqm. or more rooms. There are 26 rooms, though some of them are very large and could divide to create additional rooms. It is located on 7.7 hectares of breathtaking scenery, including almond trees, olive trees and a small pine forest and spectacular views of 360 degrees of the mountains. 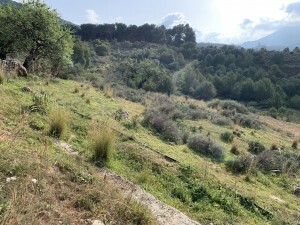 It is to 5 minutes drive from the beautiful village of Velez Rubio and all amenities, at the edge of the natural park of Sierra Mar?a and Los V?lez, in an area full of history and spectacular natural beauty. 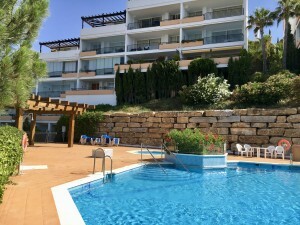 It is less than 2 hours from the airports of Alicante, Murcia, Almer?a and Granada and 40 minutes from several beaches and lakes with thermal water.